At the base of a cliff, nestled in a valley, is the Site B Research Facility’s main thriving point, a town which was built as a home for workers on the island. 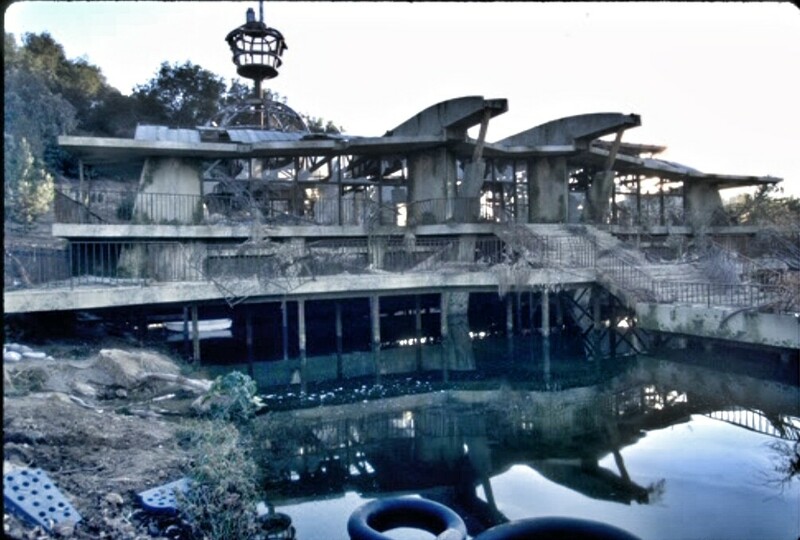 Abandoned not long after the Isla Nublar Incident in 1993 due to a hurricane, the town is powered by geothermal energy, providing the town with an almost indefinite source of clean energy; it was designed to never need replenishing. The village contains four buildings: the Operations Center, which was dedicated to administration and communications; a Gas Station and Garage; a Kiln house and Geothermal Plant; and a Boarding House where the workers lived. 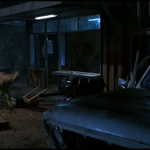 After being abandoned, a pack of Velociraptor “antirrhopus nublarensis” made their nest near the Village and began patrolling the surrounding area, hunting in a field of long grass on the cliff above the Town. A map (see, right) of the Workers Village was created by the Jurassic Park Legacy Research Team, who created the map through extensive research of both the film and production images of the set. 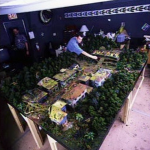 The Jurassic Park Legacy Research Team considers this map to be canon to the film, featuring the correct placement of even the debris seen on screen among an accurate display of the buildings and their details. 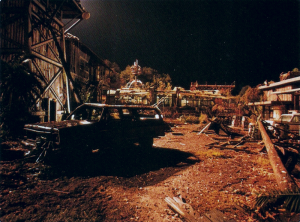 Despite the script description and other preproduction material, only four known buildings were actually constructed at the set. 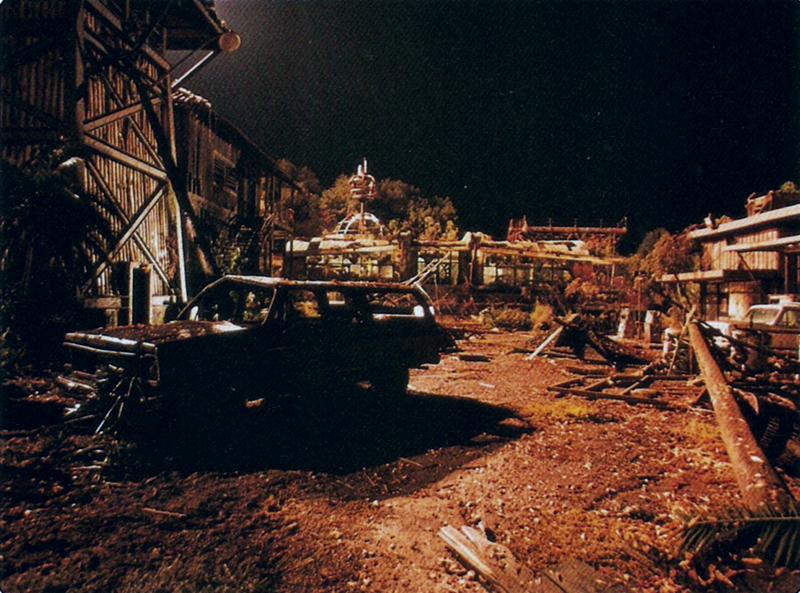 This was due to the change of climax from being set in the Worker Village itself to the San Diego Incident that ended up in the theatrical cut. 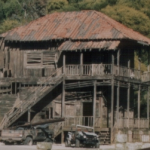 A large, rectangular structure at the end of the town, the operations center saw the day-to-day activities and communications with the mainland when the Village was still in operation and inhabited by workers. A helipad is located on the roof where personnel would be received, and a staircase near the back of the building led up to the roof. 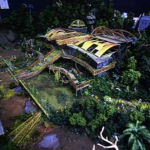 In the center’s entrance was a mural to remind the workers of their objective to create Jurassic Park; to the right of the mural was a radio station with which to communicate with the mainland and an access point to turn on the main power. Little else is known about the operations center aside from its administrative nature. 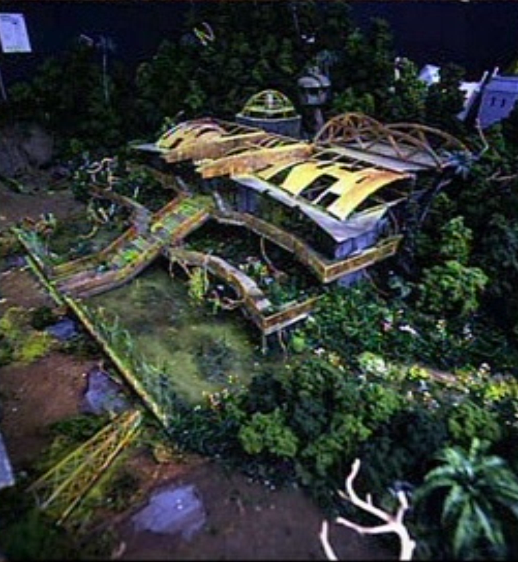 Nick Van Owen entered the building in order to use its radio and contact the mainland in 1997, requesting urgent rescue for the failed InGen expeditions. Nature had hit the Operations Building hard. much of the railing has been warped and lays rusted. The mysterious caged structure on the roof has too been warped and, like everything else metal on the structure, rusted. The sections of the metal roofing have stripped away, leaving the metal girders beneath to rust in their now exposed state. The interior has been swallowed by intruding vines, mold, and other plant life. Dead foliage stands guard on the stair sets outside, and most of the windows in the building have all been busted away. 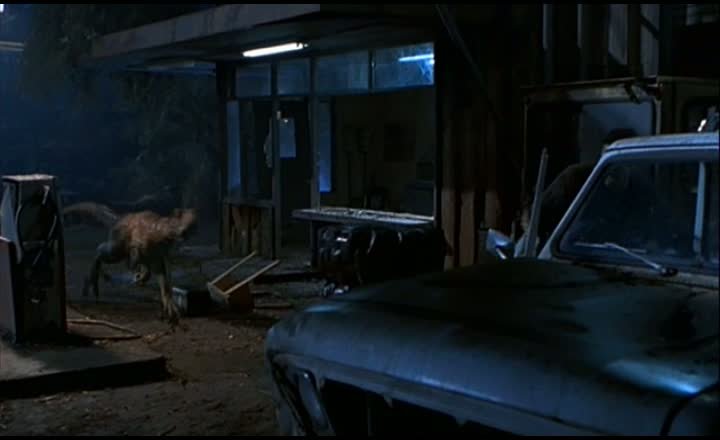 During the events of the 1997 expeditions to Isla Sorna, Dr. Ian Malcolm temporarily took shelter in the gas station from a Velociraptor after distracting it from his companions. The Gas Station had the capability of servicing vehicles and offering basic conveniences to those who worked at Site B. It was also connected to a Garage utilized for vehicle repair. Next to it was a water tower, which had been partially knocked over by 1997, it’s upper portions laying in a rusting jumble at it’s base. Despite it’s size, it’s possible that the sparse design of the tower was what allowed most of it to brave even the worse of storms. Also seen are two bobcat loaders, one within the Garage and one parked near the gate. The Gas Station interior itself is bare save for a desk, two small boards holding sets of keys, a pair of shelving units that stored books of some use, and a doorway into the garage. Nature seemed to have caused little damage to this structure. Except for the presence of vines beginning to creep up its wooden sides, the structure has sustained little damages. 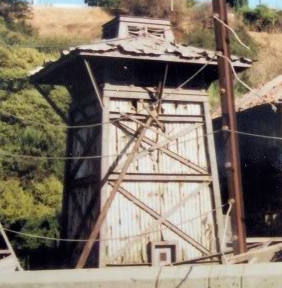 The kiln house allowed workers at Site B to work with the geothermal plant which provided power to the town (and possibly the embryonics facilities). 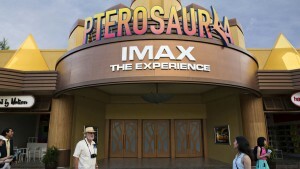 Sarah Harding and Kelly Curtis took shelter here when two Velociraptors attacked them. Inside, the kiln house contains many control panels, indicating that this may have been connected to the geothermal area. Furthermore, what appears to be a small rectangular building is connected to the side of the Kiln House that has no clear entrance or exit aside from the roof. Judging from the ceiling that Dr. Sarah Harding fell through after falling from the roof of the boarding house structure, it is difficult to say what the actual function of this structure is in regards to the capabilities of the geothermal area and what it necessarily does. Disrepair on the roof of this building is the worst afflicting this two story structure. Although an electric pole sits under the roof, having knocked away a supporting strut to the roof, it is actually the shingling that has received the worse of the damage. We are not privy to the interior of this wooden structure in the Village, though it is possible that it served as living quarters for the workers via a barracks situation. 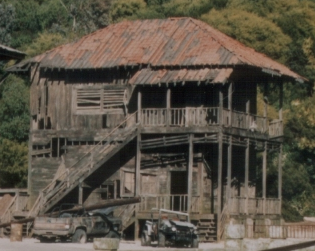 Built in plantation style architecture with staccato shingled roofing and a balcony that wrapped around the second story of a portion of the building, the interior of this structure is never seen, and therefore it’s true purpose can only be given from the best guess based on the knowledge of the purpose of the compound. No other information is known about this structure. Disrepair has shown to have hit this structure fairly hard. Many of the wood paneling on the building’s exterior has been ripped away revealing the steel girders within. The staccato roofing has fallen away in many places and a Chevrolet Blazer has been all but crashed through the building’s wall. The windows are also either broken or far too filthy to be seen through. Questions have arisen as to what is used for housing the works on Site B, and the answer, unfortunately, is practically nonexistent. 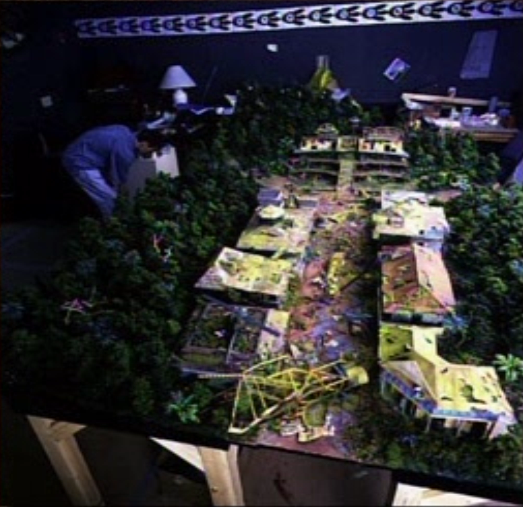 Some have suggested that the housing units are in a separate location on Isla Sorna–perhaps in the southwest as per the original prop map–while others suggest that they may have been destroyed in Hurricane Clarissa; yet others suggest that the number of staff was minimal, and that they used the boarding house as their point of rest in exile. What is known is that the production standpoint on this subject was that the town originally consisted of thirteen buildings before being dropped down to four. We know that the ending of the second film was originally changed to go in the direction of the San Diego sequence, which means that elements of the town, unfortunately, had to be cut from the production for budget reasons and time constraints. 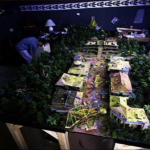 According to Steven Spielberg in the Making-Of featurette on the Blu-ray, he called up the contractors at the construction site of the set, asked how many buildings they had started on, and told them to finish just those up because he had decided not to have the final scene in the Village after all. The entire Village was planned right up to almost the last minute. They were already contracted to build 13 buildings when the number was cut in favor of moving funds elsewhere.